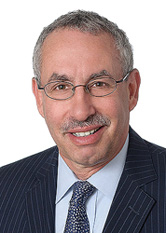 Howard L. Simon has represented clients in judicial proceedings in state and federal courts and in alternative dispute resolutions for over 30 years. He is a versatile litigator with experience litigating diverse matters involving letters of credit, lender liability, securities and commodities, fraud and breach of fiduciary duties, and real estate and construction. the chapter 11 Trustee of MarketXT Holdings Corp., a former electronic brokerage company, in the prosecution of fraudulent conveyance claims and of other litigations resulting in the recovery of more than $75 million in assets for distribution to creditors. Mr. Simon is a member of the Executive Board of the Alliance of Business Lawyers, a worldwide network of lawyers engaged in international business transactions.